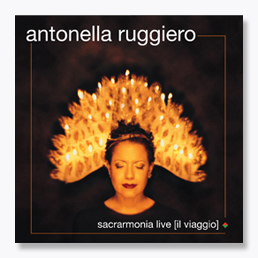 SPECIAL DELUXE 3 CD EDITION INCLUDING STRALUNATO RECITAL LIVE+SACRARMONIA LIVE+SOUVENIR D'ITALIE souvenir dÃ¯Â¿Â½italie is the result of of a project with which the genoese interpreter had the possibility to reinterpret during summer concerts in 2006 some of the most significant composed pieces from 1915 till 1945. antonella ruggieroÃ¯Â¿Â½s thorough work recovered and valorised the songs in a jazz key. and not by causal coincidence that both in her concert as well as on the album there are four jazz musician of the calibre like renzo ruggieri (accordion), paolo di sabatino (piano), massimo moriconi (double bass) and massimo manzi (drums). 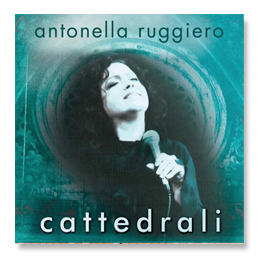 the album was recorded during three concerts held in the first fifteen days of january, 2007, in three concerts which were held in three different theatres in the province of reggio emilia. a string instrument section was added to these recordings with the intention of making the sound performance even fascinating. the accordion and the piano are the protagonists in the sound world accompanies the entire musical journey of the album. as luigi pestalozza wrote commenting this work, in Ã¯Â¿Â½souvenir dÃ¯Â¿Â½italieÃ¯Â¿Â½, the jazz structure of the twenties, thirties and forties, was retrieved. not only, but just as important, pestalozza underlines how these pieces went beyond the attempt of normalisation imposed by fascism: at the request of the regime to produce Ã¯Â¿Â½lightÃ¯Â¿Â½ music which must not stimulate the critical spirit, these musicians composed such rarely beautiful pieces that as such go against the very concept of Ã¯Â¿Â½lightnessÃ¯Â¿Â½. one must not think that Ã¯Â¿Â½souvenir dÃ¯Â¿Â½italieÃ¯Â¿Â½ is a nostalgic album. the sounds and the arrangements bring us immediately to the present. rather, it is both an artistic work and cultural one: to propose these pieces again helps us reflect on the dangers of totalitarianisms, wars and censorships. 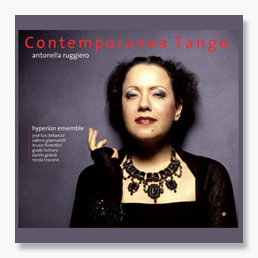 but it also helps us rediscover the freshness of the melodies still so current, with which antonella ruggieroÃ¯Â¿Â½s voice engages itself in a melodic key as well as, until now in an unpublished overture of jazz and swing. Ã¯Â¿Â½souvenir dÃ¯Â¿Â½italieÃ¯Â¿Â½ represents therefore, a further step in the path of growth and artistic quest undertaken by antonella ruggiero journey that will follow in the Ã¯Â¿Â½souvenir dÃ¯Â¿Â½italie, canzoni tra le due guerreÃ¯Â¿Â½ tour in which ruggieri, di sabatino, moriconi e manzi will play; as well as in new theatrical projects.